Money Plant is an evergreen and blooming plant. It is considered to bring wealth, health, prosperity and happiness in your space. It is also known to have a braided trunk, long and shiny leaves. The plant is also known to grow big and shiny green leaves. 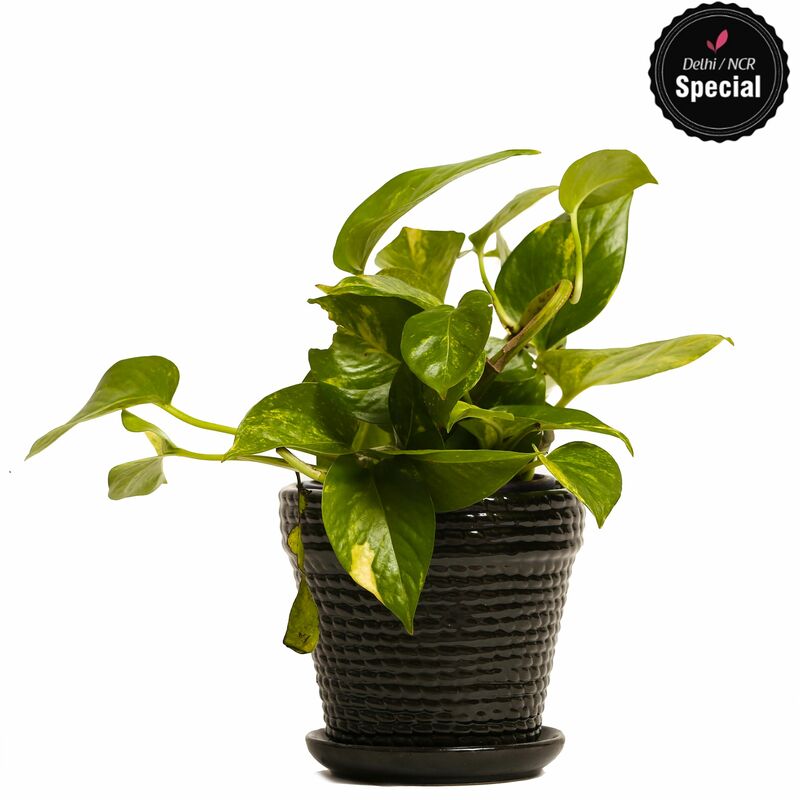 It is an indoor plant and a perfect home décor, which is easy-to-care and maintain. The plant is placed in a finely crafted pot and technically safe, which protects both the planters and the plant. Dos 1. Ideally keep them at a place which gets 3-4 hours of morning/evening sunlight. 2.Do the pruning of old leaves which turn yellow to avoid fungal attack. 3. Do check the coco peat before watering . A plant will use different amounts of water seasonally. Ideally water them every alternate day for roots to get optimum supply. 4.put manure every 6-8 months for better results. Donts 1. Don't give them direct sunlight otherwise there leaves might get burn 2. Don't overwater your plants. The most common cause of houseplant death is over watering 3. Avoid temperature shock for better growth.